Mikhail Johnson is one of Jamaica's promising young pianists and composers. Born on August 24, 1989 and raised in the rural hills of Maroon Town, St. James, Mikhail grew up in a holistic amateur singing family. His mother took piano lessons sporadically and noticed Mikhail’s love for classical music at the age of three when he started to cry after she had switched the television from a particular station airing classical music one Sunday afternoon. By the age of six, Mikhail was already adept in mimicking church melodies on the piano and the first full melody he played was from the hymn “Turn your eyes upon Jesus”. From there onwards, his musical gifts grew rapidly and he began to play for churches by ear at the age of 10. Although he had official piano lessons in the second grade, most of his early music training continued on the self-taught route, learning to read music and garnering knowledge from his general music classes during his primary school years. Mikhail’s training resumed in high school when he was a member of the school band at Herbert Morrison Technical High School. Subsequently he earned numerous awards, gold and silver medals and national trophies in the Jamaica Cultural Development Commission Festival of the Performing Arts in the categories of piano, recorder and voice and achieved the second highest score in the island for the Caribbean Secondary Education Certificate Music Examination. Mikhail has made appearances in various concerts held in Jamaica and has performed solo concerts in Florida and Georgia and in 2016 will make concert appearances in Greece and Italy. He was awarded Young Artist in Residence at the Mountambrin Theatre Gallery in Westmoreland, Jamaica for the 2013-2014 concert season. An active composer, Mikhail began composing in his final years in high school but it was not until 2007 when he went for his undergraduate degree in Biological Science with a minor in music at the Northern Caribbean University (NCU) that his compositional talents truly flourished. At NCU he studied privately with the director of choral activities Dr. Andrew Marshall. Since then, Mikhail has received commissions from the NCU Music Department and other organizations and is noted as a prolific composer in the choral genre. This output includes but is not limited to: his book of 24 Choral Benedictions; Choral anthems; Jamaican patriotic anthems; musical settings of poems; and arrangements of African American Spirituals and hymns. He has also composed for several instrumental groups. Johnson’s works are published exclusively through his publishing company Johno Muzik and are currently being distributed by Amazon and Swirly Music. In 2008, his patriotic work Anthem of Independence for mixed choir and piano received its world premiere performance by the NCU Chamber Chorus in Kingston, Jamaica as a part of their “Land of my Birth” concert. In 2010, Johnson was guest artist and featured composer at the inaugural Jamaica Choral Scholars’ Festival where his setting of Psalm 23 received its world premiere (under the direction of Andrew Marshall) to critical acclaim. In 2014, Misereatur for string orchestra received its world premiere at the “Chamber Music in the Mountains” concert by a handpicked String Chamber Orchestra under the directorship of Jamaican violin virtuoso Steven Woodham. In the same year, Johnson completed his book of 24 Choral Benedictions and officially published it two years later. In 2015, he was a finalist in the inaugural Cantus Ensemble Composition Competition in London where his composition Rose of Sharon received its world premiere and was recorded at the world at the world renowned St. Gabriel’s Church. 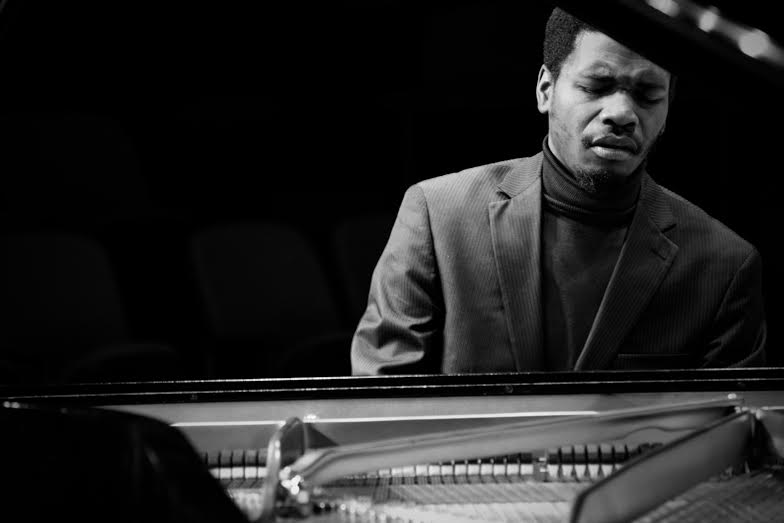 In 2016, Johnson received great recognition by the North / South Consonance Inc., which landed him the world premiere of his solo piano work Fantastic 4 at the Spectrum in New York. Later that year he became one of the winners in the 2016 Cleveland Chamber Symphony Young and Emerging Composers Composition Competition, which resulted in Misereatur for string orchestra receiving is US premiere in Cleveland Ohio, USA, performed by the Cleveland Chamber Symphony in their NEOSonicFest concert series. 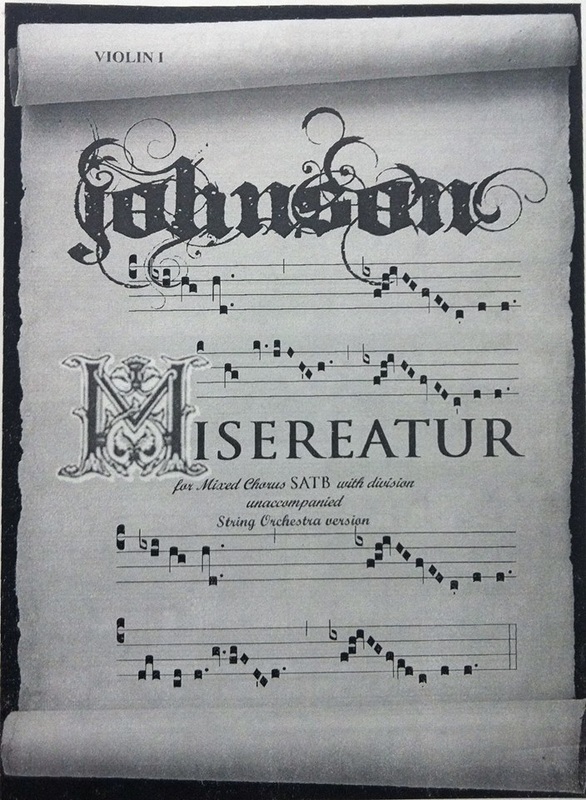 Johnson is currently focusing on composing instrumental works. He is finishing his Trio Undone by Fluc’Arcello for flute, clarinet and cello among several other projects including a very important song cycle entitled Jamaican Plight that seeks to immortalize the works of Jamaican poet Louise Bennett-Coverly through an avant-garde fusion of high voice and piano that depicts one of the poets many popular Jamaican stories. The featured work from the set Dutty Tough received its world premiere to critical acclaim in March 2016 performed by the composer on piano with the operatic soprano Jennifer Creswell at the Bowling Green State University. He is currently under commission to compose a work for organ and horn obbligato, to be premiered in the spring of 2017 by the organ faculty of Bowling Green State University. Other works being planned include an orchestral work and a chamber opera. Johnson is currently reading for his double Masters in Piano performance and Composition from the Bowling Green State University in Bowling Green, Ohio, USA.